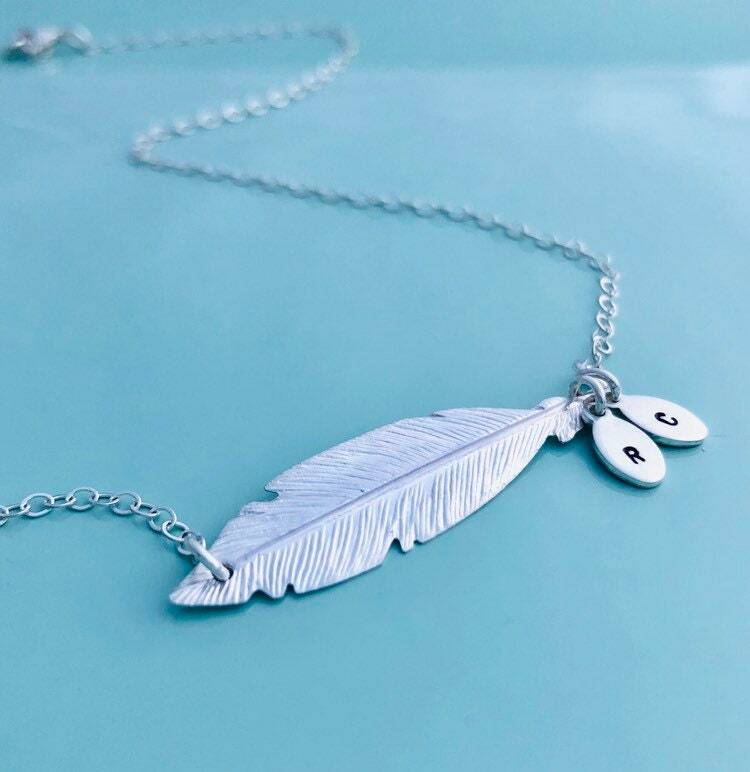 Beautiful, handmade, personalized initial feather necklace! 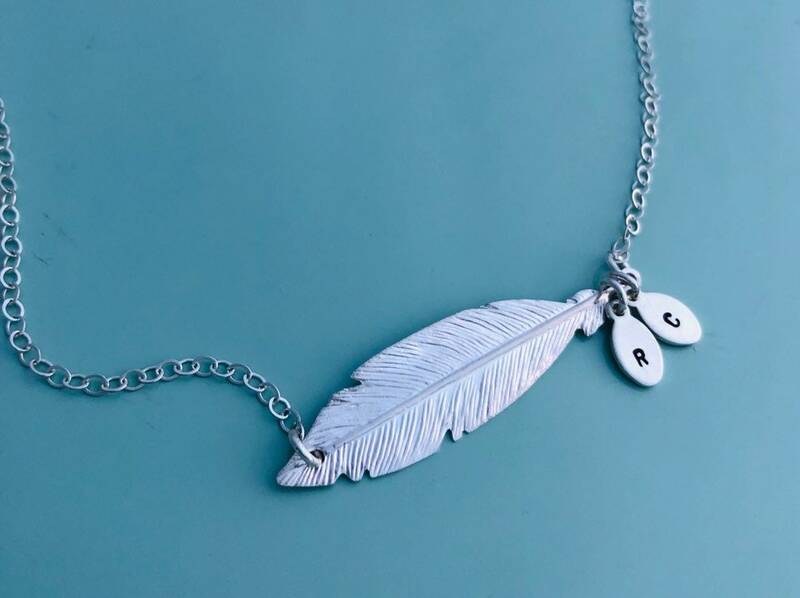 This beautiful necklace is made of solid sterling silver materials. 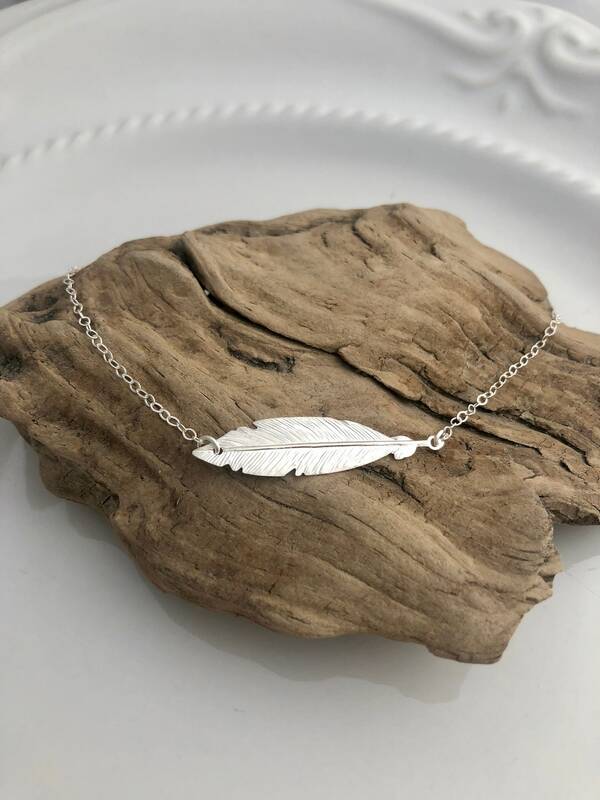 The feather measures 10.3mm x 41.3mm. 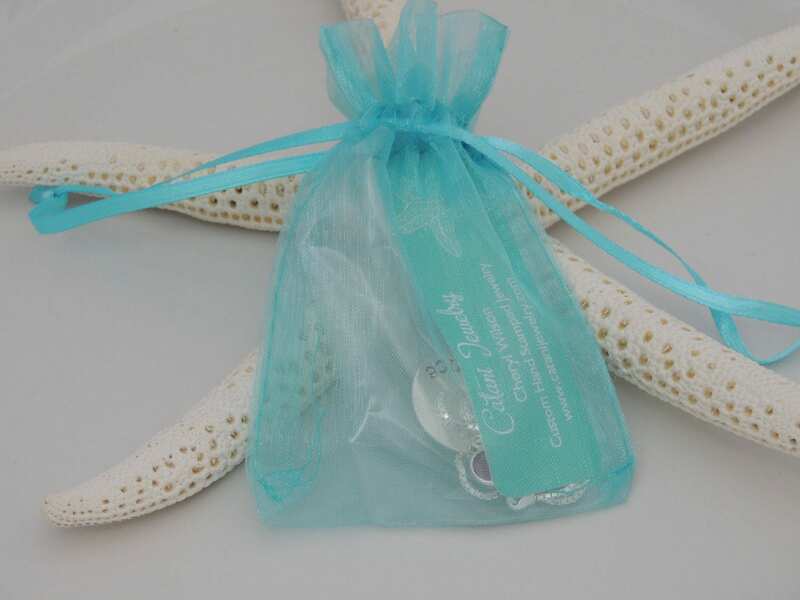 Necklace available with initials or without initials. 1. Choose your from number of initials from the 1st drop down menu. 2. Choose your chain length from the 2nd drop down menu.